Knott Laboratory provides Forensic Engineering & Animation with expertise in Mechanical, Civil & Structural Engineering. Our expert team of engineers have worked on over 16,000 failure analysis cases nationwide for the legal and insurance industries, as well as for local and national businesses. At Knott Laboratory, we come across many avoidable projects caused by improper drainage near the foundation. While moisture entering a home causes many problems, it is especially problematic at the foundation level where repairs can be time consuming and expensive. 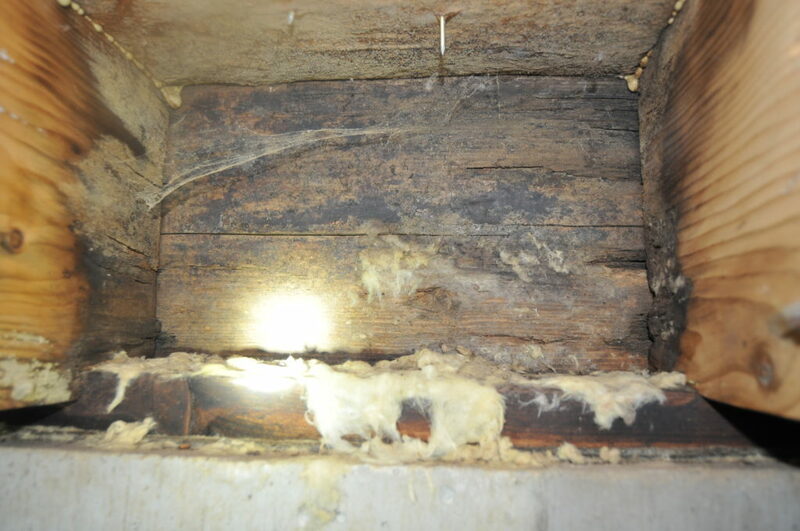 The results of long-term water intrusion, including differential foundation movement and rotted floor framing, are not easily fixed. The following photos are from a recent Knott Laboratory inspection where water infiltration caused multiple structural problems. Grading, drainage, and gutter systems are often an overlooked source of water intrusion into foundation systems. Per the 2015 International Residential Code, the grade near a structure “shall fall a minimum of 6 inches within the first 10 feet”. Although the code represents ideal drainage solutions, sometimes the requirements are unachievable due to space constraints. Knott Laboratory recommends that, at a minimum, the grading slope away from the structure. Engineered solutions such as swales, trench drains and sump pumps may be used as necessary to facilitate drainage and protect the foundation system. In addition to proper grading, directing discharge from gutter downspouts and sump pumps away from the structure is paramount. 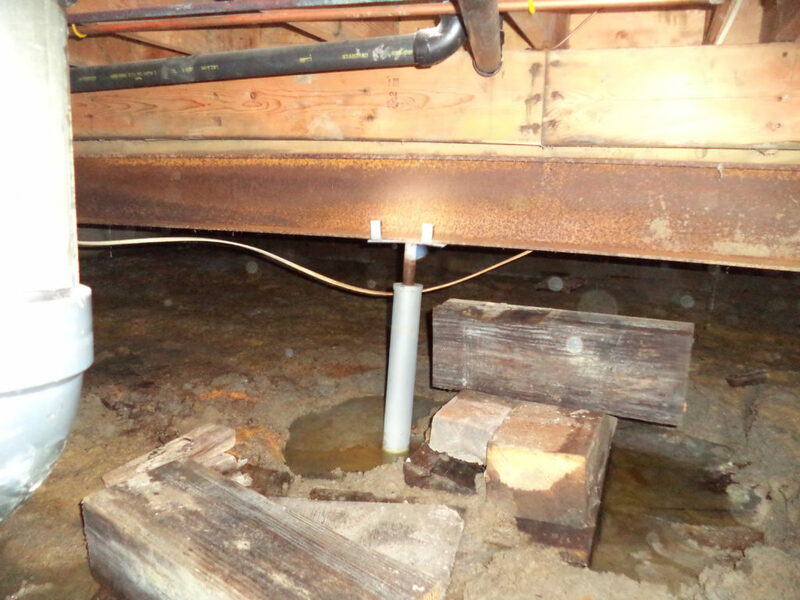 We regularly see gutters and sump pump drains discharging next to the foundation. This moisture is absorbed into the soils near the foundation which can lead to foundation movement. We recommend that any downspout releasing moisture discharge at least five feet from the foundation of the structure into an area sloped to drain away from the foundation. Now that spring is here, gutter down spouts and discharge line extensions are frequently removed for lawn care. Replacing gutter downspouts and drain lines after mowing is important to prevent moisture release next to the foundation. We hope this post is a friendly reminder to protect your home from moisture as the rainy season rolls around and wish you and your home a happy, healthy spring.